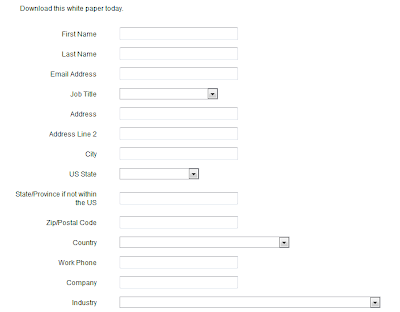 Another invitation to download a white paper, this time from the B-Eye Network, another organisation with data quality at its heart - except when it comes to its web form. 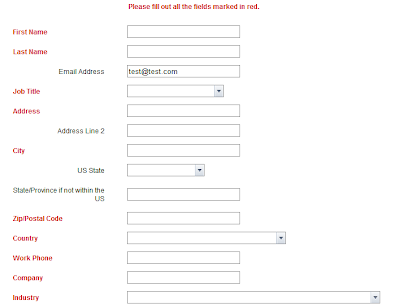 What hit me first with this form is that there is no indication of which fields are required, though you can be sure that they are there. In fact, to find out which fields I should fill in (according to B-Eye) I have to fill in the fields I can complete, hit the send button, and then hope for the best (or pray, depending on your personal preference). Only at that point will the form tell you what is required. And what is required shows a grave lack of understanding of the world out there. I don't have to fill in a state (or a province), and I am very grateful for small mercies. 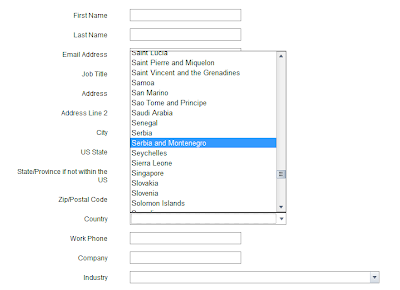 But I do have to fill in a "last" name (that's a culturally loaded field label, by the way), even if I don't have one, and fill in a Zip/Postal Code, again, even if I live in one of the 60 or so countries or territories without one. 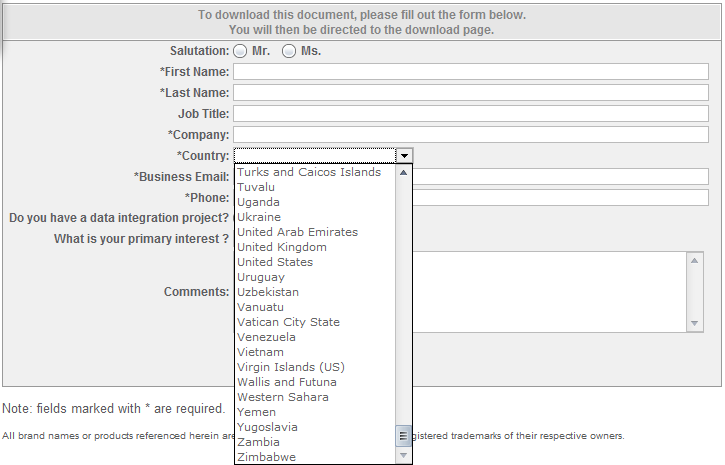 And then we look at the country drop down, always very instructive. I'll gloss over the "Falkland Islands (Islas Malvinas)" ... touchy subject ... and land instead on Serbia and Montenegro, a country that hasn't existed since 2006. I await eagerly the next invitation to download a white paper. Who dares? 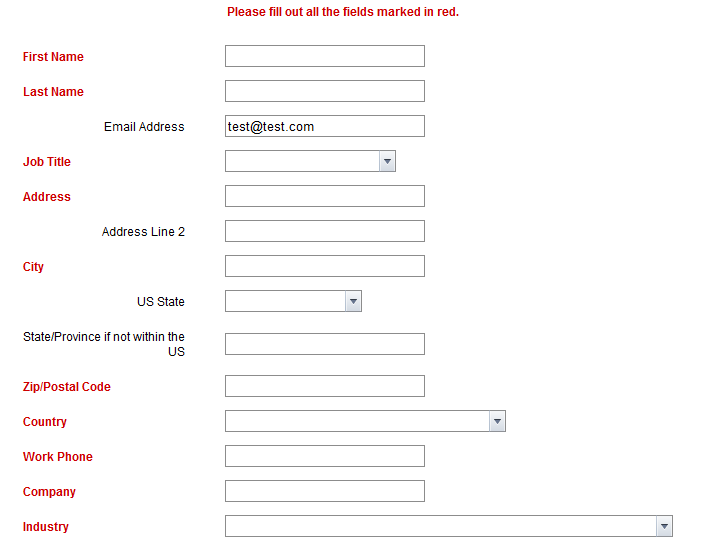 Talend have corrected their web forms! Thanks to them for listening and reacting! Chapeau! 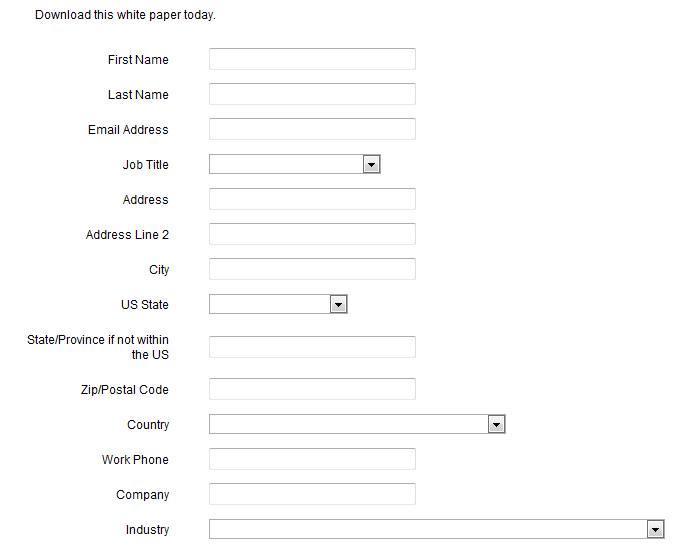 On the day that I posted about the poor web form design at Informatica I received an e-mail from Talend (another data quality company) inviting me to download a white paper. Inevitably, this wasn't free - I had to provide them with information. 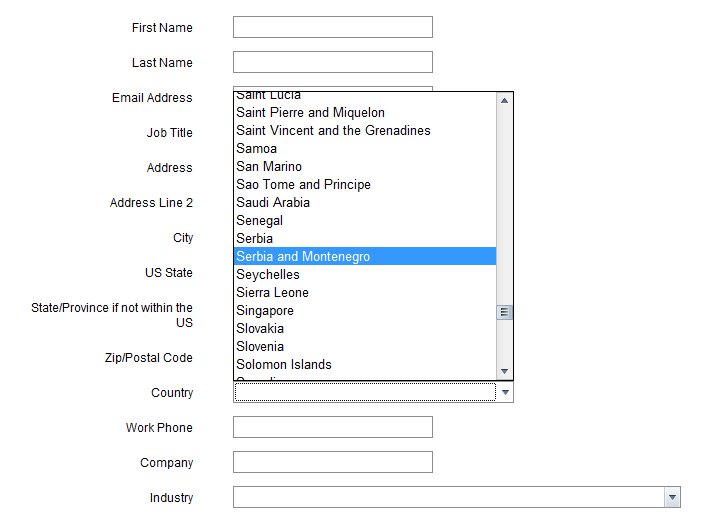 And on their drop down for country name they forgot Faeroe Islands but, more damagingly, included "Yugoslavia". Yugoslavia hasn't existed since 2003, and our memories shouldn't be so short that we forget the bloodshed which accompanied its disintegration. Look, I know how difficult it is for companies to ensure that everything is known to all people in all departments. Information doesn't flow well - there are barriers everywhere, and though there are people at Talend and Informatica who know better than to make mistakes like this, they can't be everywhere checking everything before it gets posted. But what really gets me down about these examples is that in both cases the companies concerned contacted me and let it be known that they saw the problems and would correct them. And yet in both cases the forms are still online and are still unchanged. So how broken do your company processes have to be to allow such obvious embarrassments (people, you purport to be DATA QUALITY companies!) to remain online? What is standing in the way of actually correcting these forms? How many dissatisfied customers do you have to lose before anything changes? How bruised does my forehead have to become from bashing my head against these brick walls? Somebody took the time to point out the errors. 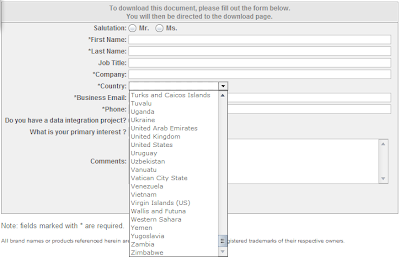 Do yourselves a favour Informatica and Talend - correct your forms!